During the holiday season, commercials flood audiences with images of happy-go-lucky families, expensive presents, glitzy parties, and fancy food spread across dining room tables. 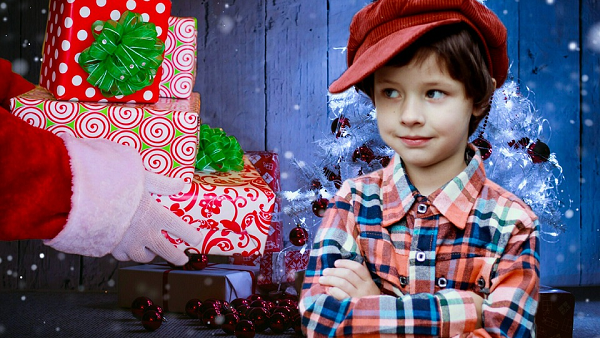 The holidays can be a stressful time for families that are struggling financially; and unfortunately, some children may not receive a gift this Christmas. However, with the season of giving in full swing, it’s not too late to help brighten the lives of those in need. CreditCards.com has created a comprehensive holiday donation guide that makes it easy to assist needy families. This free online resource covers organizations – both local and national – whose mission is to serve underprivileged families at home and abroad. The guide explains how readers can help through adopt-a-family programs, toy drives, and alternative means such as donating unused credit card rewards. So if you are motivated to help a family that doesn’t have enough to eat, or would like to donate to a child who has requested a toy for Christmas, or wish to thank active military members and veterans for their sacrifices, there are plenty of ways to help. The holiday donation guide from CreditCards.com has links to Toys for Tots, Angel Tree, Samaritan’s Purse, The Salvation Army, and more. If you are considering donating to a charity that is not mentioned, the guide provides recommendations that will enable you to make better decisions about charitable giving. If you’re more interested in how you can directly help people in your local community, this online resource offers a few ways to start your research and make a difference. Maybe you’re tight on cash yourself, or perhaps you prefer a more hands-on approach to charitable giving. The guide lists many other ways in which you and your family can get involved this holiday season that don’t require giving money. As part of their free resource, CreditCards.com also provides information on how families in need can apply for assistance. What’s more, the “season of giving” doesn’t have to end once the holidays are over. Charitable organizations are always looking for donations and volunteers. Let’s keep the spirit of giving alive all year round!